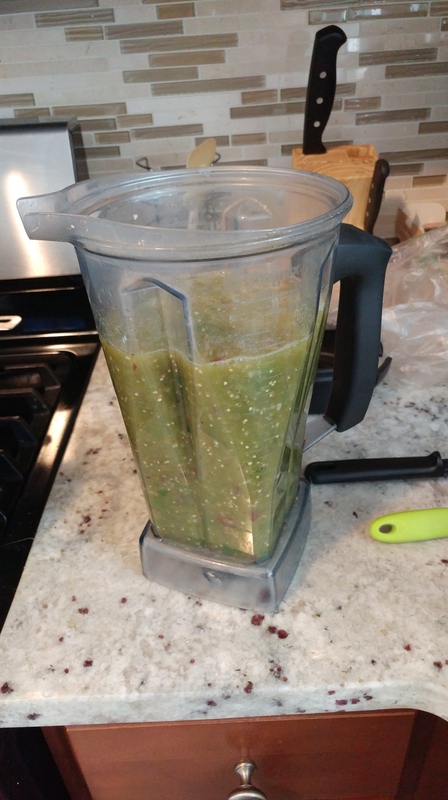 Just some updates regarding new recipes, meal-prep, the potluck and gardening. 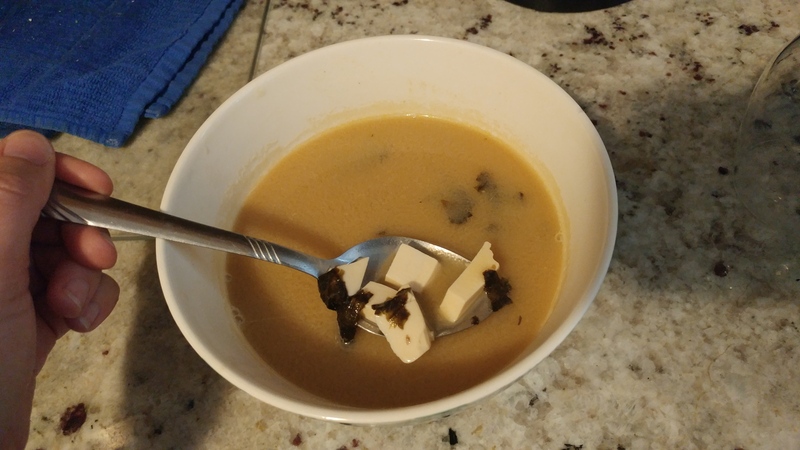 I made miso soup last week, and it honestly wasn’t that great. Maybe I’m spoiled, but it wasn’t nearly as good as the miso we had at Daruma’s with Nick and Regina recently. This unfortunate let-down of a soup steered me from attempting bubble tea at home. 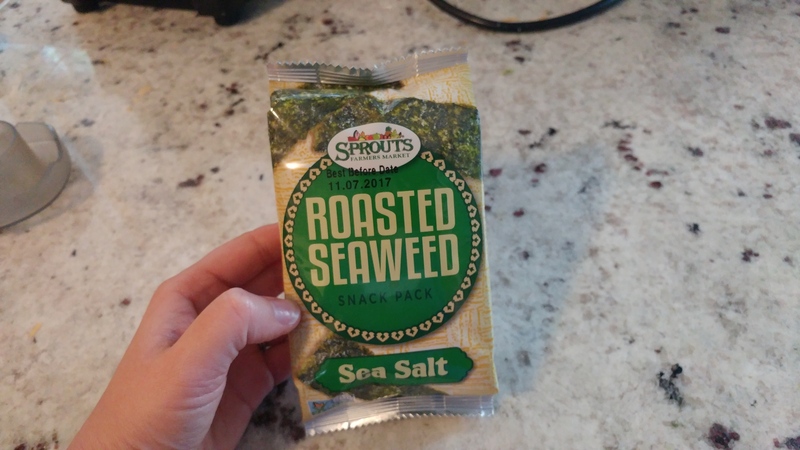 I want to like seaweed as a snack, but I aint feeling it. 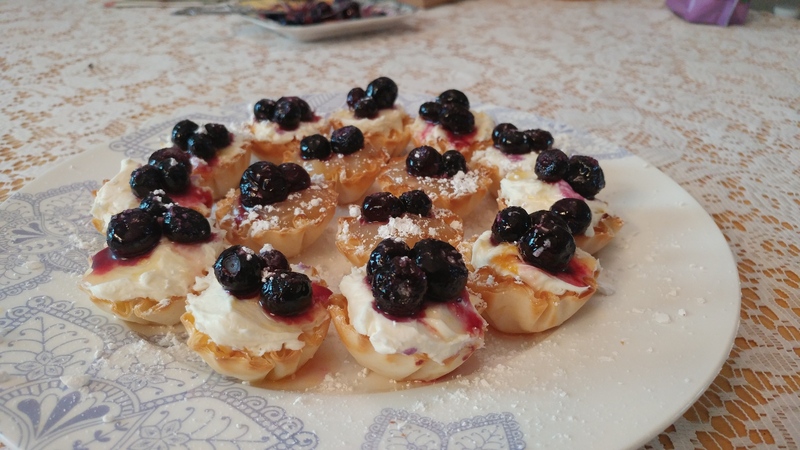 I did try mini fruit tarts for the potluck last weekend, and they turned out very well. Never before had I experimented with mascarpone or lemon curd. The lemon fruit tarts required little effort with no recipe while the others involved a made-from-scratch apricot champagne drizzle and whipped mascarpone with sugar, lemon juice, zest, vanilla and a pinch of salt. 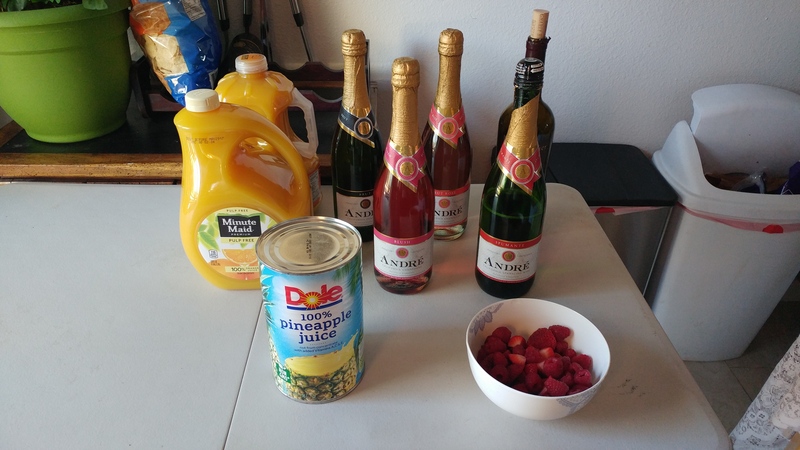 The measurements for the ingredients didn’t line up well–I had far too much mascarpone afterwards, but whatever. I found other ways to use as much as I could before tossing the remainder. A random Lemon Cream Cheese Crescent Ring–can’t get enough of lemon lately. Which leads me to my next point: Food waste. 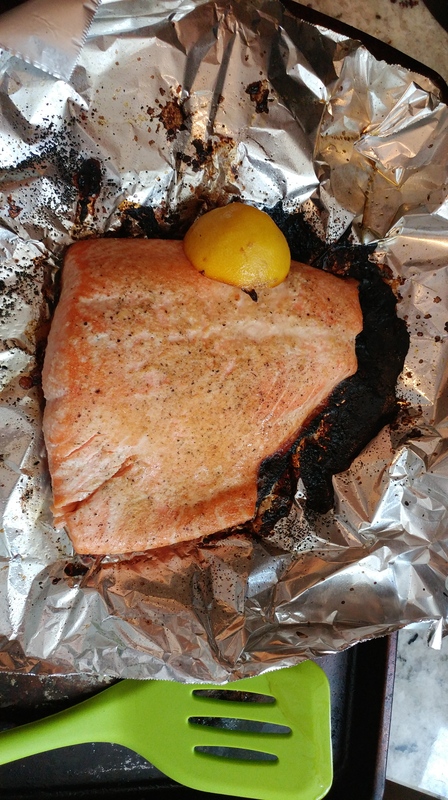 I’ve been meal-prepping consistently for the last two years, and I still find myself wasting food. I’m determined to make smaller portions for us. So allow me to toot my horn as I proclaim, I didn’t over do it on the chicken salad today! Pretty sure it will last throughout the week, along with my somewhat healthy spaghetti and two different breakfast smoothies to choose from. One smoothie I made up, the other I stole from Pinterest. I left out the syrup, and it still tastes amazing. 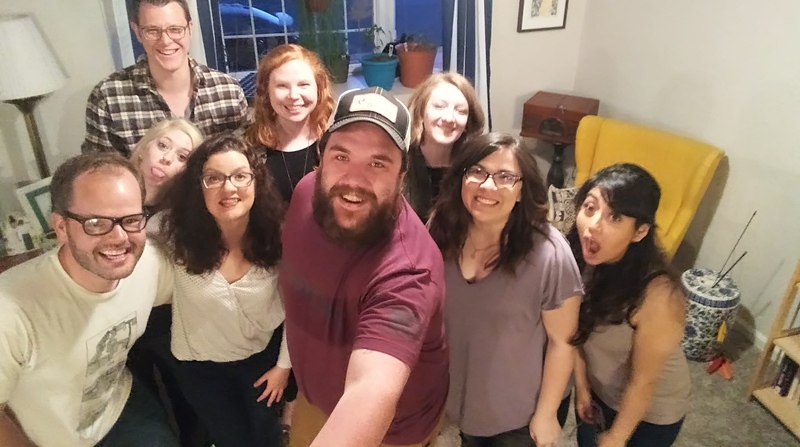 As far as the potluck’s concerned, we had a good time! 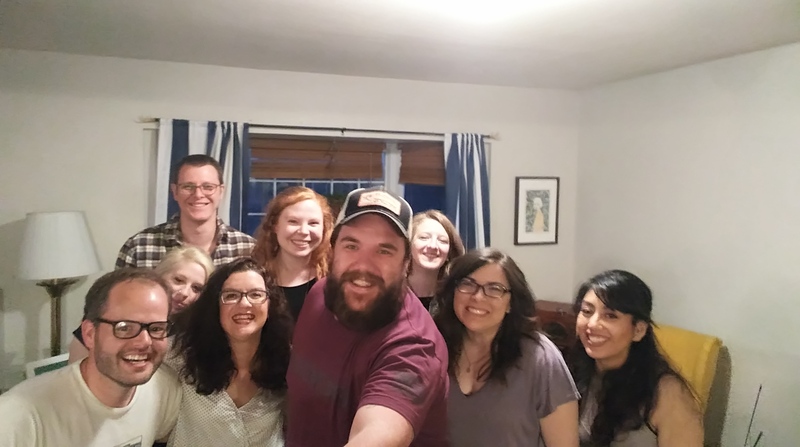 This month marked our first go at it, and breakfast for dinner was a crowd-pleasing experience for sure. 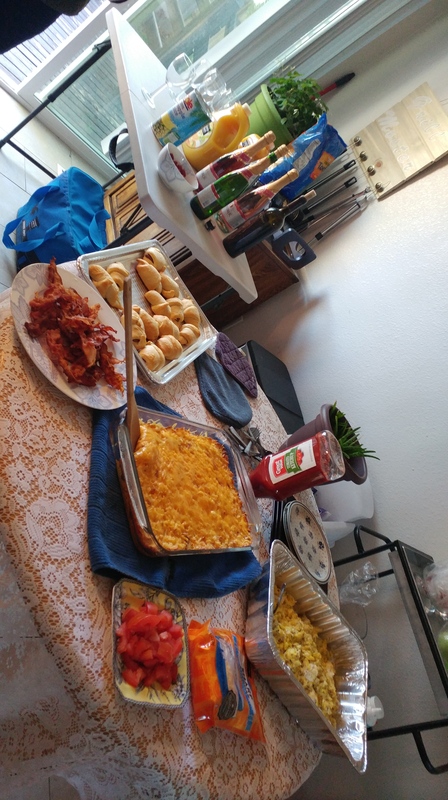 Nick and Regina brought their waffle iron, Erin brough chocolate croissants, I made hashbrown casserole, fruit tarts and bacon, and we also had a mimosa bar, plus several other side items. All in all, my heart and belly were full. 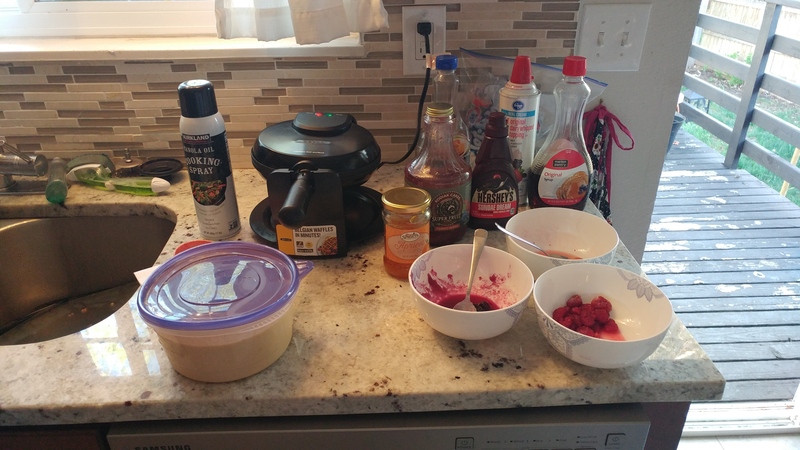 Try all the waffle toppings!! 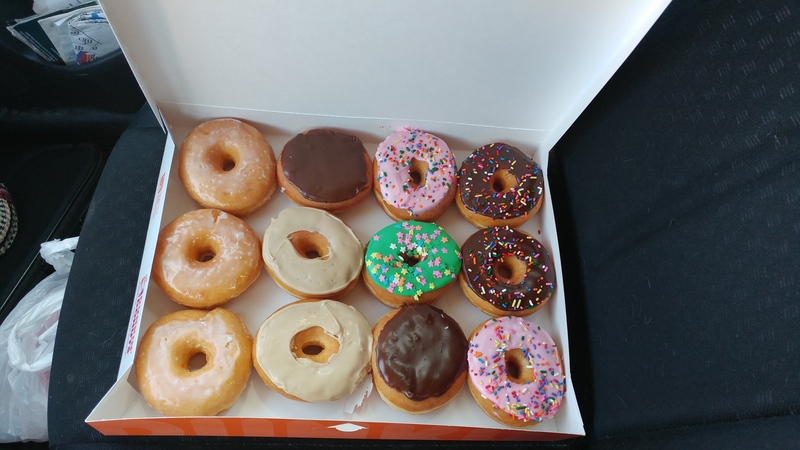 I’ve been trying to eat a little better besides the donuts I bought my coworkers. And the potluck. And my incessant need to try new coffee shops. So maybe I haven’t tried that hard, but my vinegar-based chicken salad points me in the right direction. Plus we smoked salmon last week on the grill, and I made chicken verde chili–a healthier twist on the pork rendition. Hmm what else? Gardening has been…..fun and invigorating and slightly frustrating at times. Just like last year, I jumped the gun and bought fruits and veggies prematurely. 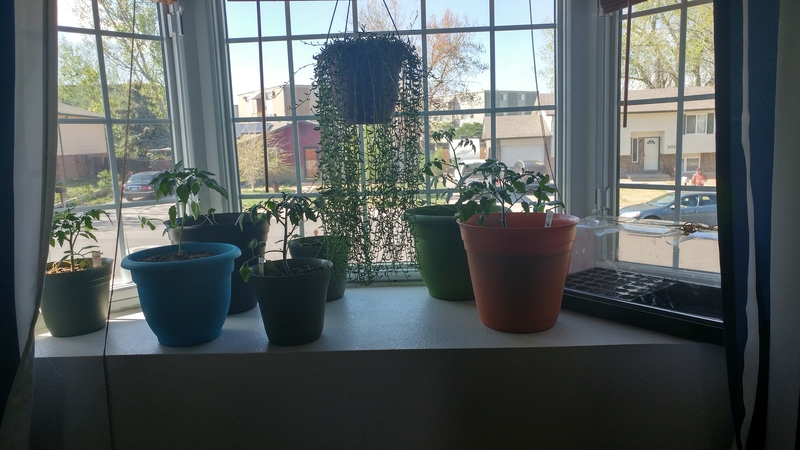 So now I have 6 tomatos, 8 spinach, 4 kale, 4 red cabbage, 1 jalapeno and a seed starter kit chilling in the bay window. We have a mix of smaller plants we bought and several crops we’re growing from seed. 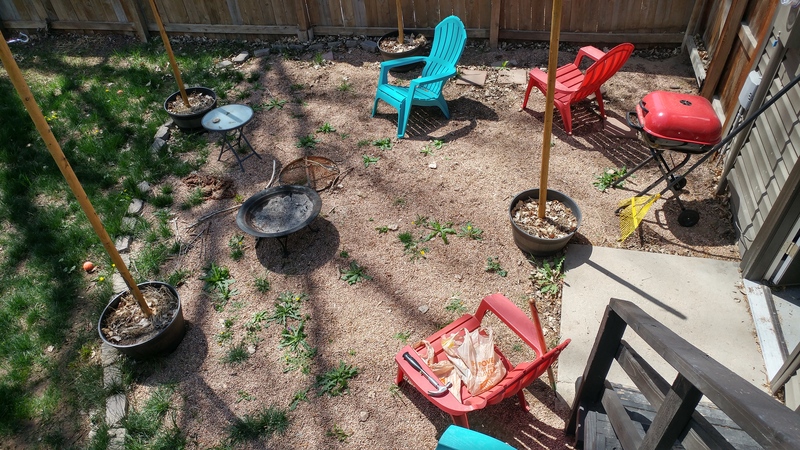 Plus, I bought some more plants in Fort Collins last weekend when I met up with Jimmy and Christine for Earth Day. 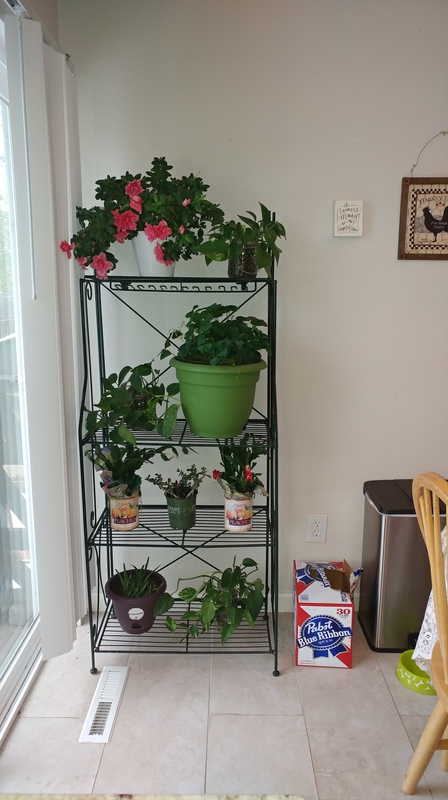 My husband and I have resorted to rotating plants as needed. For instance, the catnip seeds never took off, and Keegan’s lilacs failed to thrive. 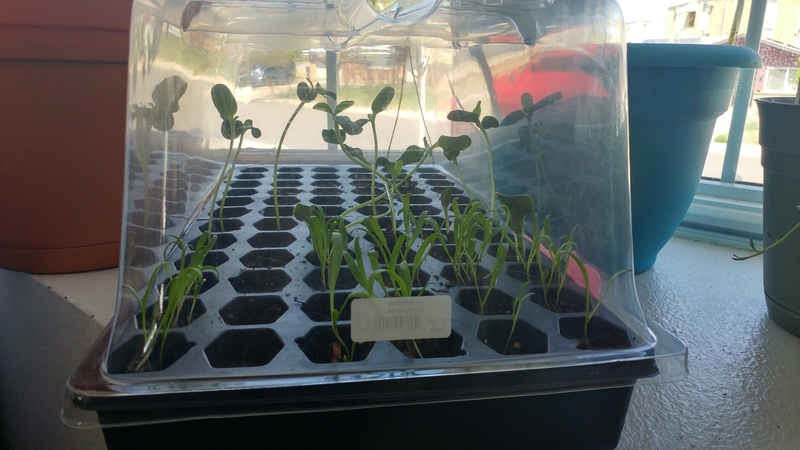 So, we transplanted Keegan’s sunflowers and pumpkins from their plastic seed pods to their very own pots until they’re ready to go outside. Once we move everything from the bay window to the beds, we’ll have 7 or 8 more pots for flowers, which is nice since I added more flower seeds to the kit this evening. Spinach, pumpkins, sunflowers and something else. I can’t even remember what all Keegan is growing. Cluttered but manageable. 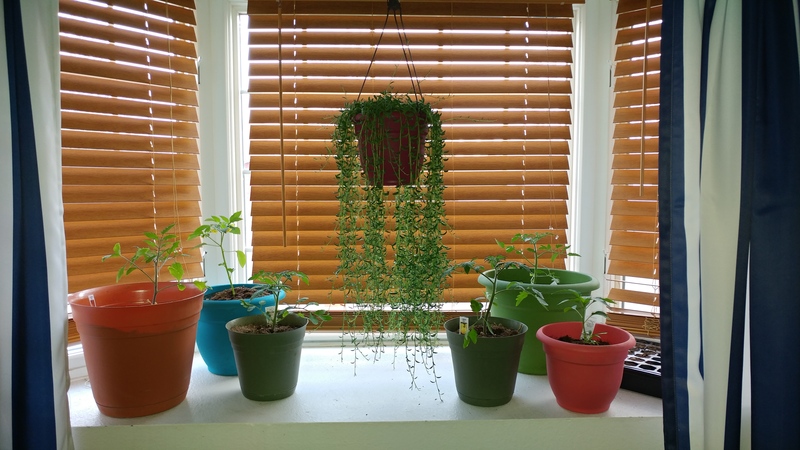 I also gave my String of Bananas a much-needed haircut. 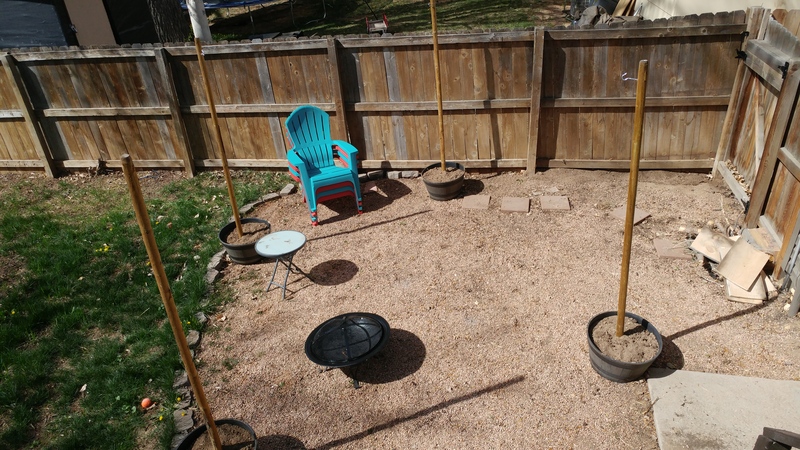 We now have 3 large garden beds instead of two: One for tomatoes and peppers, another for strawberries, spinach, kale, and one raspberry bush, and the third for potatoes, carrots, red cabbage, corn and cucumbers. This doesn’t include our 4 containers on the patio, three earth boxes and several more pots in the garage. And don’t even get me started on the front yard. Sometimes we must be careful what we wish for. I’ve talked of building my indoor garden for years and alas, a client gifted me a dozen plants last week. I gave away 4 of the ivy and kept everything else: A few more Ivy, Two Christmas Cacti, one Jade, one Azalea and one Aloe. If a plant stand hadn’t sealed the deal, I couldn’t have taken so many. I’m very grateful and fortunate to have received these beautiful additions. Our kitchen benefits from the fresh new look–the added green provides a nice, soft touch. Just wait until you see everything we added–it really looks great. 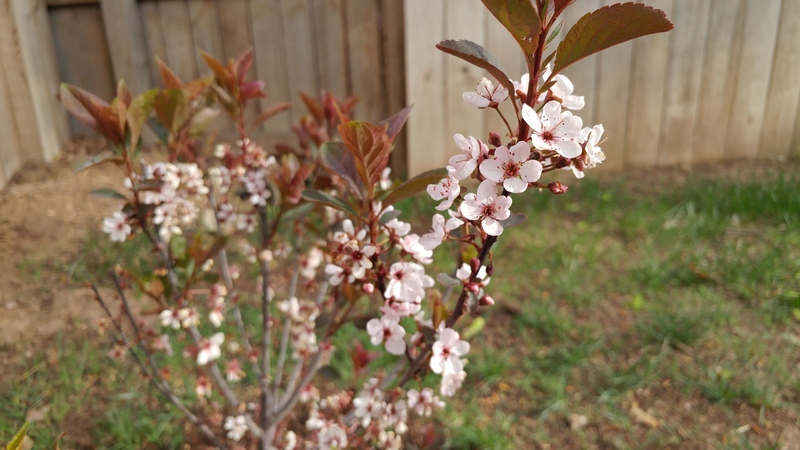 Keegan also purchased a few blooming shrubs–I absolutely love them! 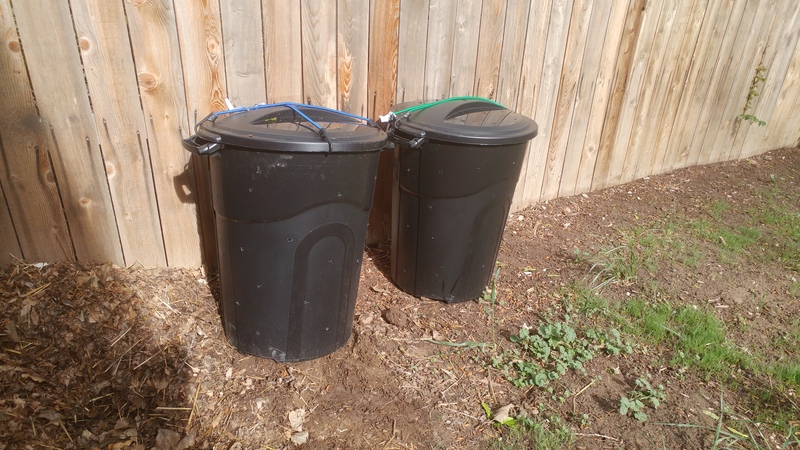 And did I mention, we’re composting this year?! Yayy!! We empty our small paint bucket once a week into the bin on the left. Keegan will eventually use the trash cans to distribute waste evenly wherever it’s needed. 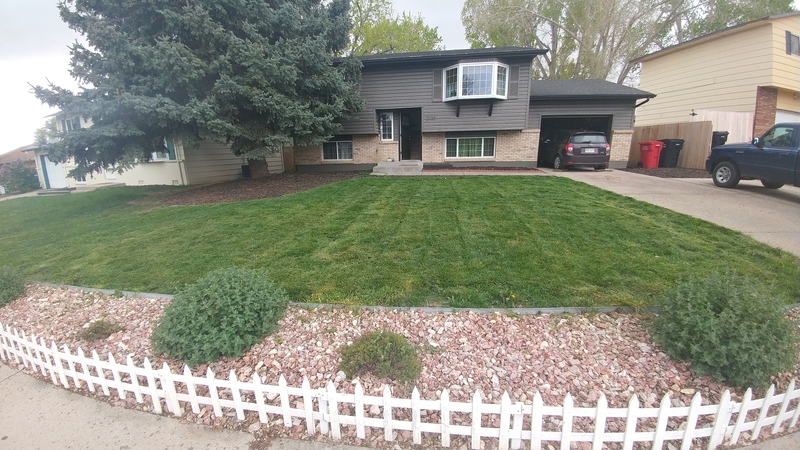 And for the record, here’s what our front yard looked like before the snow. 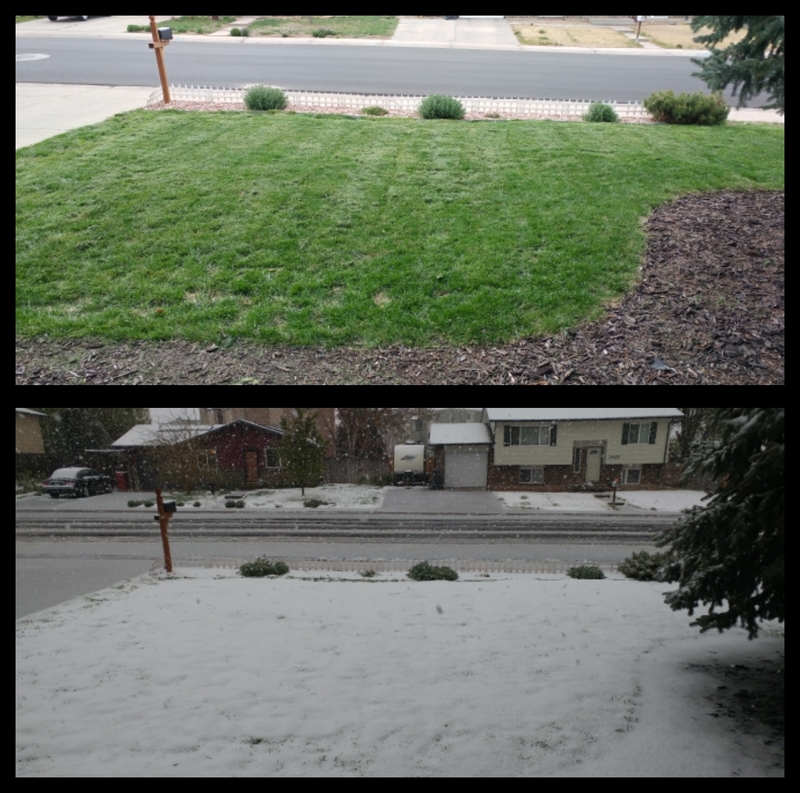 We mowed Friday morning for the first time all year and lo and behold, the snow poured down just a few hours later. 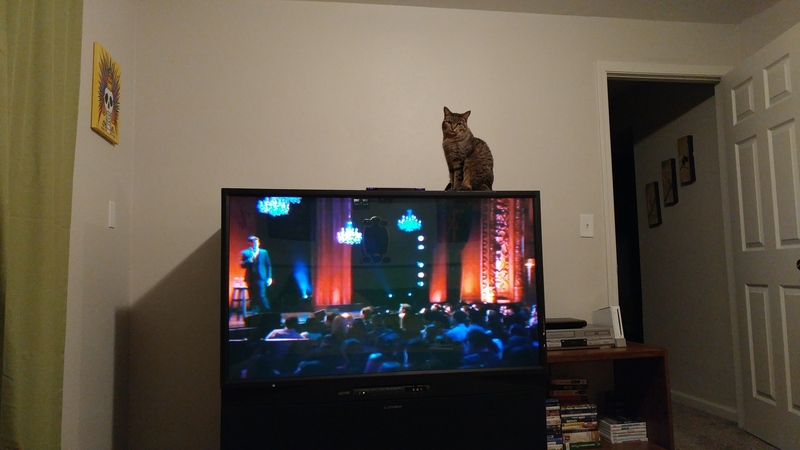 The only other random tidbit I have to share is our free tv. Our next door neighbor moved, leaving us his tv and deep freezer. He also took us out to eat and gave us a gift card to Old Chicago, his favorite restaurant. You will be missed, Phil! And we appreciate the swag. As a result, we’ve watched a slew of action movies and upgraded our Super Nintendo. All in all, life is good, and I am so glad Spring has arrived! Just as Fall comes as a relief in Tennessee, us Coloradoans appreciate warmer weather, finally.